1. 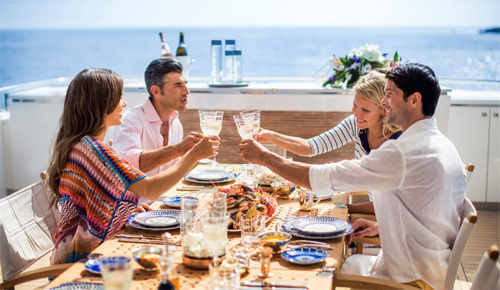 Boat trips create bonding experiences with family and friends. The lasting memories you can make while on a boat trip are priceless. Think about watching a sunset on the water with your best friends, fishing for bluegill with your kids, or admiring the wildlife. 2. A day in the sun allows our bodies to soak up a safe amount of Vitamin D. With the use of sunscreen, Vitamin D is an important vitamin that one needs in order to survive. 3. There is proof that being near water can naturally help lower anxiety, leading to a healthier and more relaxed lifestyle. 4. Learning new boating skills can be an empowering and educational experience. When you go on a boat trip, you will always have the opportunity to learn something new. 5. Boat trips allow you to unplug. In this digital age, we are always either sending a text message or checking our email inbox. Stress, insomnia, and depression have been connected to our inability to power down. When you head out for a boat ride, it’s the perfect excuse to unplug, even if it’s just for a few hours. 6. You are following your passion. Having a passion or hobby, such as boating (or fishing! ), can contribute to your overall happiness. 7. 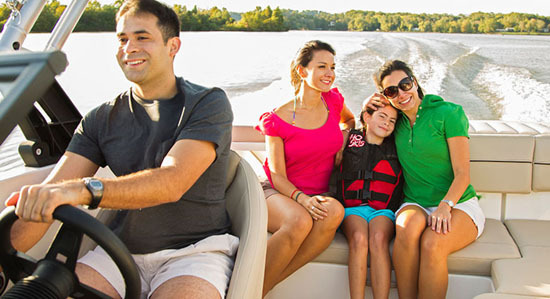 Boating establishes a feeling of community on the water. Fellow boaters are known for being there to help one another and for offering words of advice. 8. When you go on a boat ride, you have the opportunity to broaden your range of experiences by trying different types of water sports like fishing or water skiing. 9. Boat trips keep you balanced. How many times have you become so consumed with work or school commitments that you neglected to set aside a day for some fun family boating? Going on a boat ride will help you keep your life in balance between work and play. 10. A boat trip is an adventure. We only have a limited number of days on this amazing and wonderful place we call earth, so don't waste any of them wondering what it would be like to boat on a different waterway or in a different state. Embrace the adventure! We have various Yachts and Boats Like Princess Yachts, Bayliner Boats, Meridian Yachts and Many More.